The launch of the Sustainable Intensification Assessment Framework (SIAF) in November 2018 by the Feed the Future Innovation Lab for Sustainable Intensification (SIIL) marked a turnkey moment in agricultural research and development. 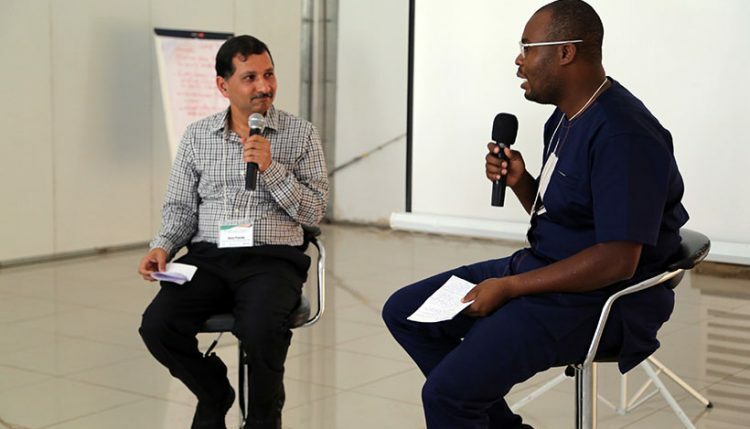 Learning Event held on 5 – 8 February 2019 in Malawi. Photo credit: Simret Yasabu/ILRI. Borne out of collaborative efforts by scientists from SIIL, the United States Agency for International Development (USAID), Michigan State University (MSU), University of Florida (UF), Kansas State University (KSU) and Africa RISING; the SIAF has brought with it a significant point-of-view change in how the net effect of agricultural interventions introduced to communities can be evaluated to comprehensively assess their performance in terms of direct and indirect consequences within and across five domains: productivity, economic, environment, human and social. The framework has been adopted and is currently being applied by SIIL and the Africa RISING program. Discussions are ongoing for more projects and programs to start applying the evaluation framework. 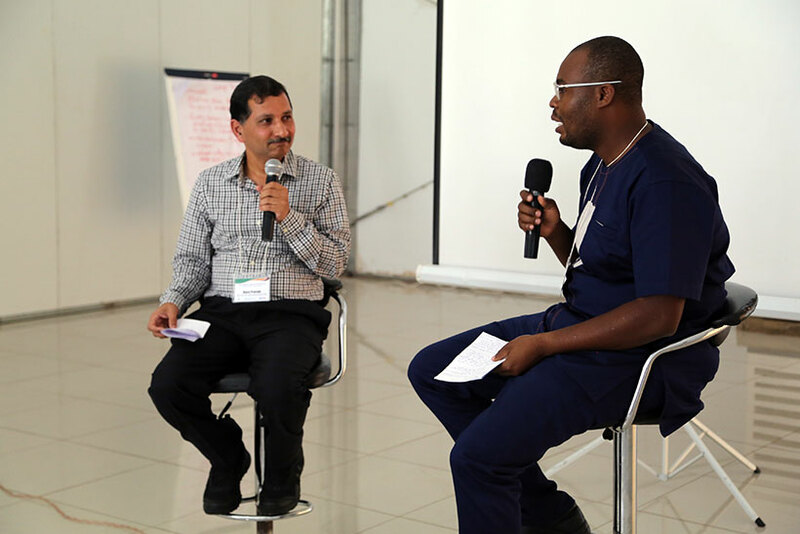 To learn more about the SIA framework, its applications, the lessons learnt since it was unveiled and why it is the go-to tool for assessing systems research interventions; Africa RISING Communication and Knowledge Sharing Coordinator Jonathan Odhong caught up with SIIL director, Vara Prasad, during the Africa RISING Program Learning Event 2019 held on 5–8 February in Malawi. Below is a truncated transcript of the interview. Q: Thank you very much, Vara, for the great opening remarks. You mentioned (in your opening remarks) that the framework was at first seen only as a tool to measure sustainable intensification in agriculture, but then over time this thinking changed. Please elaborate how the framework has evolved. A: There has been significant change in terms of the value of the SIAF to multiple audiences. When we were first developing it, we thought of just three domains—productivity, economics, and then environment. But then the human and social domains also needed attention (perhaps more urgently than the others). So that is why, this morning, we had discussions on whether you need to collect data on all the SI domains. The answer is yes, you really need to measure all the five domains to get the big picture for a systems perspective. Another thing that has really evolved is the use of multidisciplinary (or transdisciplinary) teams in research. The framework provides an appropriate tool for specialists from different professional backgrounds to collaborate in solving a problem in a more holistic way. The biggest problem is, however, how to manage a perfect connection between the different specializations working together. The other aspect of the evolution is the fact that the framework’s value proposition/utility is now beyond just a tool for scientists; it now has great value for the policymakers too. So, an intervention like digging a dam to irrigate crops and enhance productivity is a good idea, but the SIAF will help you for example to tell: (a) whether the pond actually increased productivity, (b) whether it is economically viable, (c) whether nutrition in the area where the pond was dug has improved, (d) whether the pond has resulted in a spike in Malaria infections within the area…and so on. So, when a policymaker looks at that, they get a big picture to decide whether or not that intervention should proceed. Q: If the framework were a car, one would say that data is the fuel that it needs to operate. However, within Africa RISING, one of the challenges has been that data is in the hands of different scientists and either knowingly or otherwise they have not been in a position to share the data effectively amongst themselves to generate the ‘big picture view’ you have just described. Is this an issue you also face within SIIL? If yes, how are you overcoming it? A: Great question. I think the situation you are referring to was also the case in SIIL. I use the word ‘was’ because it was a problem for us at the beginning. I think there are ways to handle those types of issues. At SIIL we have taken certain approaches, one of which is the top down approach. This means that we are putting this requirement into partner contracts, saying that you have to collect this information and make it available to the management and other partners after a certain period of time, using whatever kind of database you want—could be Dataverse or any other. Most importantly, we are now working on the bottom up approach. Like I said, other research components in various regions are based on thematic areas. For example, we are working in three different regions: West Africa, East Africa, and Asia. In West Africa (Burkina Faso and Senegal) the thematic area is crop-livestock interaction. The idea for crop-livestock interaction did not come from me or from Kansas State University. It came from a conversation with stakeholders on the ground— the people who are actively involved in that region. These are the people who really determined that for them in this region, in terms of ground area sustainable intensification, crop-livestock interaction is the key. In East Africa the stakeholders chose cereal-legume systems. For Asia, rice systems was chosen in Cambodia and Bangladesh. So, that is how we brought the scientists together in the beginning. After this, then we selected the targets for measurement, we included some component of all the sustainable intensification (SI) domain and then everybody had to collect data relevant to their specialty. In most of the countries where SIIL operates, there is a significant involvement of (local) students in the research work. We therefore select a student also to collect data on each SI domain, then at the end they sit together and showcase their results on the SIAF. This process is of course not easy, but I think researchers now understand the value of systems research and how the SIAF is bringing that to a level where other people can appreciate it. This is because there are always a few organizations involved in systems research. At the end of the day, it is our responsibility to communicate our research. And the best way of doing this is to find a method, where we can bring people together— researchers, policymakers, and students. Q: Adopting this framework is fraught with many challenges, particularly for the scientists who are supposed to collect the data. In some conversations, it has been said to be an extra bit of work. Why would you still insist that people continue to use the framework faithfully? A: Yes, it is very important not to quit on the SIAF. Again, I think I would like to indicate that unless we all come together and work as a team, we will not be successful in addressing these challenges. At the same time, we will not be able to attract more funding if we do not show the value of systems research. One thing you need to remember is that this framework is not about the success or failure of your project, or the success of innovation. Do not think that this framework is evaluating your innovation or technology. It is not. It does not have any M&E measure. It is a way to look at the opportunities for synergy. Where are the synergistic groups happening? Where are the trade-offs? If you identify a trade-off, what are the innovations with which we can work to improve that trade-off? I think we are at the point where we need to show the value of systems research, otherwise the funding is going to be very low. Just throwing in the word systems research is not going to be good enough. We need to show that farmers are actually adopting and showing results on the ground. This framework provides a way for multidisciplinary or transdisciplinary teams to work together on a common thematic area. I really liked your question this morning about the issues and the research areas where a systems approach is needed. I think, as you know, the systems approach is needed in multiple areas. I have come up with five or six of those components: integrated pest management, integrated water resource management, integrated soil fertility management, crop-livestock interactions, and seed systems. Q: Should risk be included as an indicator in the SIA framework? A: Great question. I think risk analysis is very critical. Very important. Actually, the SIAF captures it because the framework is so broad. Just look at the domains—productivity, environment, social, human, and economic. Risk is built into these domains because an innovation is riskier, especially if it is not beneficial or it requires too much labor or does not address family nutritional needs, etc. So risk analysis is already captured in all the five different domains. You just need to pick the right indicator and the right metrics at the right scale to make sure you are trying to find the risk.